Formerly known as the Sandal wood Island, Sumba is now famous for its horses and a superb style of Ikat cloth. 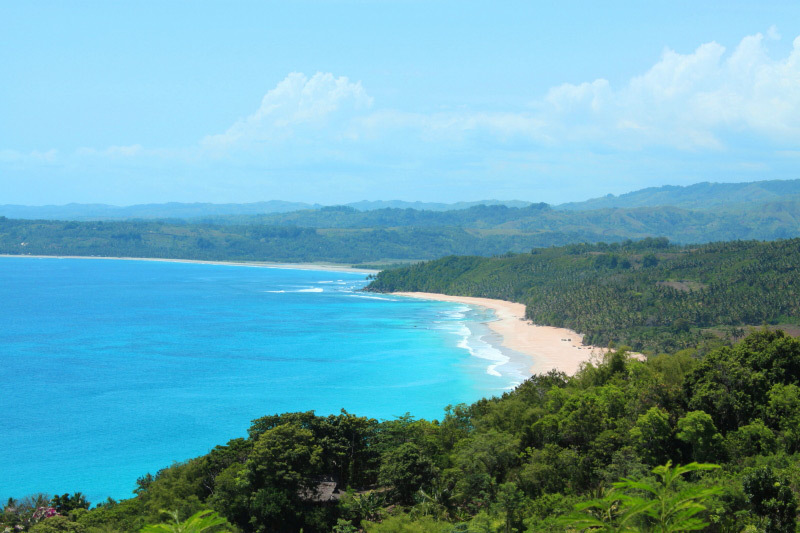 Sumba is located between Sumbawa to the northwest; Flores to the northeast, across the Sumba Strait; Timor to the east, across the Savu Sea and Australia, across part of the Indian Ocean. Administratively, Sumba Island is divided into 4 regencies; West Sumba regency, Southwest Sumba regency, Central Sumba Regency and East Sumba Regency. The lanscape in Sumba is low, limestone hills, and there is dry season from May to November, and rainy season from December to April. The largest town on the island is the main port of Waingapi. The Sumbanese people speak in a variety of closely related to Austronesian Language that have a mixture of similarities to Austronesian and Melanesian. The largest language group is the Kambera language, which spoken by a quarter of a million people in the eastern half of Sumba. Sumbanese people hold Dutch Calvinist for the majority, while ther population practices the animist Marapu religion. The remainder are Christian, but a substantial minority being Roman Catholic. West Sumba is famous for its enormous megalithic tombs and traditional thatched and peaked huts raised on stilts. Incredible rituals are a way of life here, such as the "Pasola", where hundreds of horsemen fling spears at each other in an annual traditional ceremony. In burial ceremonies, it requires the sacrifice of hundreds of pigs, water buffaloes, horses, and dogs. Other ceremonies include "Pajura" or traditional boxing, festivals for the Lunar New Year in October and November, horse races and ritual dances.